NO CATALOGUE of this sort would be complete without an account of 60 Minutes's 1986 attack on the Audi 5000 — perhaps the best-known and best-refuted auto-safety scare of recent years. The Audi, it seemed, was a car possessed by demons. It would back into garages, dart into swimming pools, plow into bank teller lines, everything but fly on broomsticks, all while its hapless drivers were standing on the brake — or at least so they said. Ed Bradley: Six-year-old Joshua Bradosky liked to open the garage door when he drove home with his mother. The Reverend and Mrs. Bradosky told us what happened after she let the little boy out of the car to open the garage. Bradley: You put your foot on the brake? 60 Minutes, Out of Control, 23-Nov-1986, in Peter W. Huber, Galileo's Revenge: Junk Science in the Courtroom, Basic Books, 1991, p. 57. I recently watched in fascination as Ed Bradley reported on the CBS-TV show "60 Minutes" that the 1978-'86 Audi 5000 sedans can treacherously launch themselves like misfired missiles when their automatic transmission levers are placed in drive or reverse. This phenomenon labeled "unintended acceleration," has allegedly been responsible for several deaths, including a particularly poignant one — tearily documented on the show — in which a pretty young mother crushed her young son against the back wall of a garage. The segment included testimony from several victims. They decried Audi's suggestion that the trouble lay not in a mechanical flaw but in driver error. The largest suit now pending against Audi is an Illinois class action, ostensibly representing 300,000 or so Audi 5000 owners. Audi began selling cars in America in 1969 with unit sales of 7,691 and they grew steadily peaking out at annual sales of 74,061 units in 1985. From there sales plummeted to a low of 12,528 units in 1993. Even some valet parking garages have posted signs that they will not accept the Audi 5000 with automatic transmissions. In December 1988, Transport Canada had released its sudden-acceleration study, which concluded: "The present study, and all others known to Transport Canada, confirm that sudden acceleration ... occurs as a result of driver error." The Japanese Ministry of Transportation released its final report in April 1989. After analyzing 1,108 sudden-acceleration incidents and performing experiments on fifteen different cars, the ministry came to exactly the same conclusion: no defect in the car causes both high engine power and loss of brake effectiveness. Sudden acceleration, in short, was a problem of lawyers, not of cars. Peter W. Huber, Galileo's Revenge: Junk Science in the Courtroom, Basic Books, 1991, pp. 68-69. The "60 Minutes" story starred a mother who had run over her six-year-old son [Joshua Bradosky]. On the air, she insisted that she had had her foot on the brake the whole time. When her $48 million claim came to court in Akron, Ohio, in June 1988 the investigating police officer and witnesses at the scene testified that after the accident the distraught mother had admitted that her foot had slipped off the brake. The jury found no defect in the car. "60 Minutes," in one of journalism's most shameful hours, gave air time in November 1986 to a selfstyled expert who drilled a hole in an Audi transmission and pumped in air at high pressure. Viewers didn't see the drill or the pump—just the doctored car blasting off like a rocket. 60 Minutes [...] showed a filmed demonstration of how an Audi, as fixed up by, yes, an expert witness testifying against the carmaker, could take off from rest at mounting speed. The expert, William Rosenbluth, was quoted as saying that "unusually high transmission pressure" could build up and cause problems. "Again, watch the pedal go down by itself," said Ed Bradley. Bradley did not, however, tell viewers why that remarkable thing was happening. As Audi lawyers finally managed to establish, Rosenbluth had drilled a hole in the poor car's transmission and attached a hose leading to a tank of compressed air or fluid. The tank with its attached hose was apparently sitting right on the front passenger seat of the doctored Audi, but the 60 Minutes cameras managed not to pick it up. Typically, the explanation for some technological phenomenon requires complex laboratory analysis which the layman is unable either to understand or to replicate, and so journalists find themselves at the mercy of the experts whom they interview. In the present case, however, without the help of either laboratories or experts, anybody is able to verify for himself that mechanical or electronic failure cannot possibly cause Unintended Acceleration. Such simple and accessible verification consists of demonstrating that in a contest between the accelerator pedal and the brake pedal, the brake pedal always wins. Therefore, if the drivers of Unintended Acceleration vehicles really had been hitting their brakes as they claimed, then the car would stop if it was initially in motion, or would not budge if it was initially stopped, no matter what acceleration instructions the motor was receiving from no matter what source (whether from depressed accelerator pedal or mechanical malfunction or electronic malfunction). How long might it have taken 60 Minutes to conduct this test? One can imagine a scenario in which conception-to-results might take as little as fifteen minutes; and few scenarios in which more than an hour or two would be required. And the cost? Perhaps a few cents of extra gasoline consumed. This is the 60 Minutes investment that could have saved an automobile manufacturer from the gratuitous loss of many billions of dollars and that could have saved 60 Minutes from embracing falsehood. And in the Audi, as in any car, the brakes will easily overcome an engine even at full throttle; press the brakes hard, and the car will come to a stop whatever the engine may be doing. So during the Audi accidents the brakes must somehow have failed. And, yes, the drivers are all certain they had a foot on the brake, as they assure "60 Minutes": "The foot was on the brake so hard, Mr. Bradley, that I had a shin splint. The entire foot was black and blue from pressing so hard on the brake." Peter W. Huber, Galileo's Revenge: Junk Science in the Courtroom, Basic Books, 1991, p. 58. [M]y race-driving partner, Price Cobb, did some personal testing back then and here’s what he has to say. "60 Minutes did an expose on the Audi saying that these cars had a run-away problem and that somehow the car went berserk and gave itself tons of power and made the brakes inoperative at the same time. So I took a new car off the showroom floor onto the highway and accelerated up to the speed limit, THEN I floored the gas pedal AND applied the brake and still brought the car to a halt!" Who's right? Will an Audi 5000 outmuscle its own brakes? I borrowed a 1984 Audi 5000, floored the accelerator with my right foot and stepped on the brake hard with my left foot. Then I moved the transmission from park to drive. AND THE ENGINE STALLED! It lacked sufficient power to override the brakes. According to my brief test, for unintended acceleration to occur, two independent systems — fuel supply and brakes — must fail simultaneously and [after the accident] somehow return to normal. Audi says it went even further. In demonstrations for both CBS and NBC, it made full-throttle acceleration runs to speeds between 30 and 50 mph and then, with the throttle on the floor, stopped the car with the brakes. Tests performed by Road and Track in 1986 repeatedly showed that no matter how much throttle was used, the engine simply was unable to overpower the brakes. It is a simple fact of automobile production that the brakes have more power capabilities than the engine. This is true of all production cars, and even more so in the higher performance variants. If the drivers of the 5000 truly were holding down the brake pedal, and the engine still could accelerate the car to any degree, nevermind accelerate out of control, then that would suggest massive brake system failure. This however was not found, as mentioned above as all cars were found mechanically functional with no major systems damaged. I have taken the first step toward filling in the table by placing Kristi Bradosky's Unintended Acceleration (UA) into the yellow cell, and the 2000 UAs attributed to GM in the block quote below into the blue cell. Barely a first step, but still a beginning which serves to shake up rigid views of the direction in which such research might unfold — if 60 Minutes had looked, it might have discovered that UA was claimed less often for Audis than for other cars. [T]he phenomenon of "unintended acceleration" is not new. The problem has occurred in a variety of autos with automatic transmissions. More than 2,000 complaints have been made about General Motors models built between 1973 and 1986. Owners of Toyotas, Renaults, Mercedes-Benzes and Nissans have also reported unintended acceleration incidents. To establish a correlation, then, a methodical and impartial attempt has to be made to fill in all the cells of at least a fourfold table such as the above — how many Audis have been accused of UA and how many haven't, and the same for non-Audis. These four numbers would permit the answering of the most basic of all questions — does Audi have a higher rate of UA than other cars? Other fourfold tables might begin to answer other fundamental questions, such as whether the UA rate in 1986 differed from the UA rate in other years. Minimal though this is, 60 Minutes failed to do it, and if done too minimally, it would not have been enough, because to come up with interpretable data, one would have to keep constant the hysteria factor by which the spread of the rumor that the Audi 5000 is UA-prone invites Audi drivers who have caused accidents to come forward trying to win compensation by blaming their cars. There is not much investigation that one can do that is not scientific investigation, and the quality of scientific investigation practiced by 60 Minutes in its Out of Control story would earn it a failing grade in any introductory course in research methodology, just as would its investigation in its French Paradox story. 60 Minutes failed to convince its viewers of the bare minimum — that Audi had a higher rate of UA reporting than other cars, or that the rate of UA reporting in 1986 differed from that of other years. 60 Minutes could save itself much future blundering and grief if it gave its staff a grounding in scientific method, a first step toward which might be the distribution of copies of Companion to Correlation. "60 Minutes" never even acknowledged the final U.S. [NHTSA] findings, it did grudgingly note identical conclusions of an earlier, blue-ribbon study, and then proceeded to rebroadcast inflammatory videos from the earlier segment. CBS continues to brazen out even its egregious Audi segment. Ed Bradley was a guest on Larry King recently when a caller praised 60 Minutes in general but politely suggested it might want to apologize for faulty or mistaken stories like those on the Audi and on Alar, the apple spray. "First of all, they're not mistaken. Secondly, they are true," Bradley replied with some heat and more redundancy. He reminded listeners that among the Audi victims the show had spoken to were a policeman and a state auto inspector, supposedly unfoolable about such matters. "It's not a figment of our imagination. It actually happened, whether you believe it or not." Hewitt, on Crossfire, defended the Audi show in a different and, if truth be known, contradictory way. If there was really nothing wrong with the cars, he asked, then why had Audi recalled them after the 60 Minutes episode? But the point of the main recall was to add an "idiot-proof" device that kept drivers from shifting into gear unless their foot was on the brake. If you accept Ed Bradley's theory that their feet were on the brake all along, that fix should have been useless. The reason that I am writing to you today is that Steven Rambam is suing me, in two separate law suits it would seem, as you will be able to see for yourself simply by typing in the case numbers 02E00326 and BC271433 on the California Superior Court web site at www.lasuperiorcourt.org/CivilCaseSummary/main.asp?Referer=Index. Exactly what Steven Rambam is unhappy about he hasn't yet specified, though the cause of his unhappiness must be contained somewhere within my letter to Irving Abella of 30-Apr-2000 (Rambam-Abella Fifty Confessions Hoax), and as well somewhere within my letter to Steven Rambam himself of 13-Mar-2002 (Steven Rambam shakedown for $25,000). Extrapolating past trends, it won't surprise me if he launches a third law suit in order to include yet another displeasing letter that I wrote to him of 25-Mar-2002 (The Jewish show trial of Julius Viel). If there is an issue that I see emerging from the Rambam litigation that has actually been launched so far, it is the question of whether it is accurate to depict the Rambam-Abella Fifty Confessions Hoax as a "hoax." That's where you get drawn in, because it seems that your 60 Minutes provided the vehicle for distributing the Rambam-Abella Fifty Confessions Hoax to more than 30 million viewers — which is to say the vehicle of Mike Wallace's 20-Jul-1997 broadcast Canada's Dark Secret. Thus, your 60 Minutes is a leading contributor to the Rambam-Abella Fifty Confessions Hoax, as it is the mechanism which transformed an obscure provincial prank into an international scandal. The hoax isn't just Rambam and Abella's hoax, it is your hoax as well, and thus you have an interest along with Rambam and Abella in the Rambam litigation which attempts to suppress discussion of that hoax. Out of Control (23-Nov-1986 hosted by Ed Bradley), the subject of the present letter, has its fraudulent accelerator-pedal-moving-by-itself demonstration described by Peter Huber above as "one of journalism's most shameful hours." Poison in Your Mouth (23-Dec-1990 hosted by Morley Safer), described by Stephen Barrett, M.D. as "the most irresponsible report on a health topic ever broadcast on network television." The French Paradox (17-Nov-1991 hosted by Morley Safer, with a follow-up on 05-Nov-1995), Morley Safer's recommendation of intoxication as a way of life is a wine-industry infommercial disguised as scientifically-based health advice. I discuss it in my letter to Morley Safer of 21-Apr-1999 whose link is in the heading of the present paragraph, and I elaborate in my letter to him of 05-Apr-2000. The Ugly Face of Freedom (23-Oct-1994 hosted by Morley Safer), a Zionist contribution to stampeding the Jews of Ukraine to Israel masquerading as investigative reporting. The Connection (01-Jun-1997 hosted by Steve Kroft), "A prize-winning British documentary broadcast on the CBS program 60 Minutes about drug running from Colombia was a fake [...]. Makers of The Connection paid actors to portray drug dealers, faked locations, and falsely claimed there was a new heroin route from Colombia to Britain [...]" (Canoe at www.canoe.ca/TelevisionShowsS/sixtyminutes.html)." Canada's Dark Secret (20-Jul-1997 hosted by Mike Wallace), the vehicle disseminating the Rambam-Abella Fifty Confessions Hoax to over 30 million viewers. UKAR makes briefer reference to other instances of 60 Minutes brushing journalistic standards aside so as to manufacture an entertaining story in the cases of Joe Yandle and of Michael Horner. W is for Mike Wallace, who hosted the 60 Minutes broadcast Canada's Dark Secret that foisted the WHARRRF Hoax upon more than 30 million viewers. H is for Don Hewitt, yourself, executive producer of 60 Minutes, for hovering one step above Wallace in the chain of command during production of Canada's Dark Secret. A is for Irving Abella, history professor at York University, who lent academic respectability to the WHARRRF Hoax by publicly supporting it throughout its course, and most particularly who abused the privilege of appearing before tens of millions of viewers on Canada's Dark Secret by making patently false statements that were incompatible with his status as a professional historian. R is for F. David Radler, COO of Hollinger International, world's largest newspaper empire, and owner of the Jerusalem Post which sponsored the WHARRRF Hoax. R is for Steven Rambam, expendable pawn who was presented to the public by the WHARRRF Group of Seven as the project leader so that he could take the fall in case the WHARRRF Hoax failed, as it incrementally does fail with each new reader who comes prepared to read UKAR documentation with an open mind. R is for Moshe Ronen, National President of the Canadian Jewish Congress, for outranking Irving Abella and Bernie Farber in the CJC hierarchy during their overt participation in the WHARRRF Hoax. 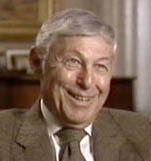 F is for Bernard Farber, Director of the Canadian Jewish Congress (CJC), whose disinformation in Canada's Dark Secret was added to that of Wallace, Abella, and Rambam. Exactly what fault I find with the WHARRRF Fifty-Confessions Hoax, and with its dissemination on your Canada's Dark Secret broadcast, has already been touched upon in my letter to Irving Abella of 30-Apr-2000 (Rambam-Abella Fifty Confessions Hoax) and 18-Mar-2002 (Irving Abella SS-Tattoo Hoax), and in my letter to Steven Rambam of 13-Mar-2002 (Steven Rambam shakedown for $25,000). I will provide further detail in future letters to you and to other WHARRRF members. I view Steven Rambam as not only a member of the WHARRRF Group of Seven, but as the member chosen to represent collective interests in the current litigation. I view the current litigation as the WHARRRF attempt to suppress discussion of its Fifty-Confessions Hoax, and to suppress as well other UKAR discussion which displeases members of the group. [The American Lawyer] Editor-in-chief Steven Brill cites "the media's almost comic double standard when it comes to holding itself accountable as opposed to holding the rest of the world accountable." In future discussions of the WHARRRF litigation, the above case of the Audi 5000 — recommended by 60 Minutes in its broadcast Out of Control as a car possessed by demons — will continue to be presented as one of the several pieces of evidence that the mainstream press is indeed capable of the grossest irresponsibility and dereliction of duty and even of outright fraud, and therefore that the mainstream press does stand in need of chastisement and correction by monitoring agencies such as UKAR. And of course in further discussions of the WHARRRF litigation, the 60 Minutes Canada's Dark Secret broadcast will be featured as the particular instance of mainstream journalism's irresponsibility and fraud whose discussion the WHARRRF Group of Seven is attempting to suppress. is, in part, an attempt on the part of CBS to suppress UKAR criticism of CBS.